The 10nm Cannon Lake chip is coming out in limited volume, while a new chip called Whiskey Lake is revealed. Intel's first-quarter earnings call on Thursday revealed a new name for its roadmap: Whiskey Lake, which will debut as a consequence of a delay in 10nm volume manufacturing until 2019. Intel did say, though, that it's shipping low volumes of its 10nm Cannon Lake processor now. Intel reported outstanding first-quarter profits of $4.5 billion, a 50 percent boost over the same quarter a year ago, as well as record revenues of $16.1 billion for the first quarter of 2018. 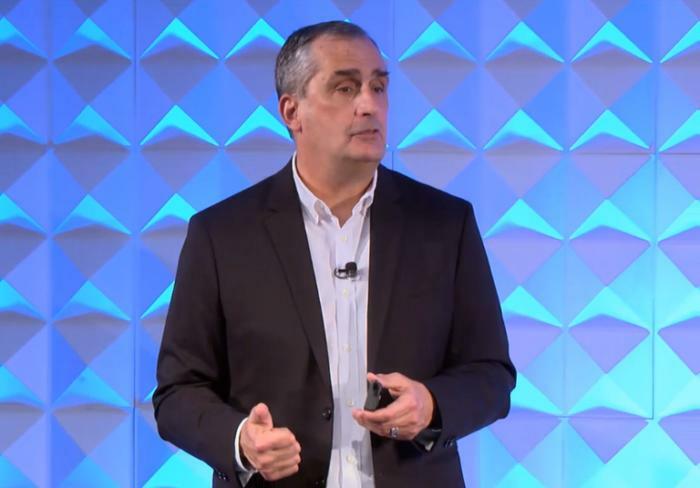 "Coming off a record 2017, Q1 is off to a strong start," Brian Krzanich, the company's chief executive told analysts in a Thursday conference call. Intel’s revenues were buoyed yet again by its Data Center Group, which reported a 23 percent boost in revenue to $5.2 billion. Intel’s Non-Volatile Memory Solutions Group, which produces flash memory and Optane, grew by 20% to $1.0 billion. Intel’s PC-centric Client Computing Group is still its largest, at $8.2 billion in revenue, but that business grew just 3 percent, evidence of a PC market that has begun to stabilize over the last 12 to 18 months. Intel's CCG, though, has had difficulties ramping the yields of its next-generation 10nm Core chips, Intel executives confirmed. Though that rate is improving, Intel made the decision to push out its 10nm PC microprocessor products, in volume, until sometime in 2019, rather than the second half of 2018, as it has said previously. Intel will continue to make “process optimizations and architectural innovations” in its existing 14-nm lines for both datacenter and client products throughout the remainder of 2018, it said. One of those chips will be Whiskey Lake, for client PCs, Krzanich said. Intel executives provided no further details, but reports have said that Intel may have additional "4+2" and "8+2" mobile chips debuting later this year. A "Cascade Lake" chip will debut for servers later in 2018, he said. Intel also confirmed that it is currently shipping small volumes of a 10nm product right now, producing—rather than sampling—the Cannon Lake processor that was originally slated for 2017, but slid into 2018. "It was surprising seeing PC revenue increase given competitive pressures, but overall ASPs and notebook volumes increased, which balanced out desktop volumes declining 6 percent," Pat Moorhead, principal analyst of Moor Insights, said in an email. Moorhead isn't bothered by the delays in 10nm production, either. "I was glad to see Intel reset 10nm shipment expectations to volumes in 2019," he said, "and believe in the future Intel will try to decouple transistors and nodes from shipping products and really lean into advanced packages." Earlier on Thursday, Intel announced that it had hired Jim Keller, who led the design of the rival AMD Zen architecture that produced the Ryzen chips. Intel said that Keller's duties include silicon engineering, SOC design and integration -- a very broad mandate to influence all of the silicon products Intel makes. Intel expects second-quarter revenue of $16.3 billion, up 10 percent from the same quarter a year ago. What this means for you: Some have said that Intel’s cupboard looks a bit bare for 2018, as the company wrestles with the instability in Moore’s Law and an 8th-gen Core line that’s including more and more products. It looks like “Ice Lake” will definitely slip to 2019, and it’s not quite clear what role Cannon Lake will have, either. All eyes will be on Coffee Lake throughout 2018, it appears. This story was updated at 3:33 PM to add details of Jim Keller's hire. This story, "Intel earnings call reveals strong revenue despite delays in 10nm chips" was originally published by PCWorld.